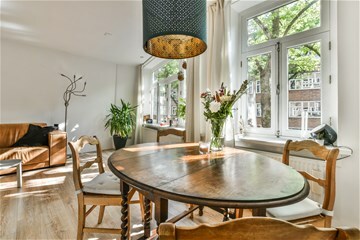 Orteliusstraat 227 I AMSTERDAM West - Ramon Mossel Makelaardij o.g. 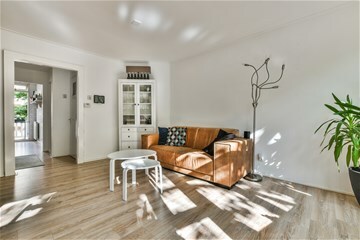 B.V.
A two-bedroom apartment with more than 50 sq. 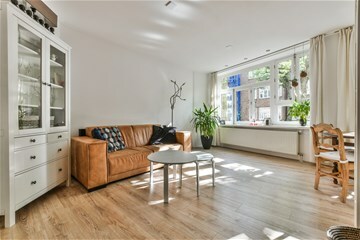 m. of living space, situated on the first floor of a charming 1920s building in De Baarsjes. 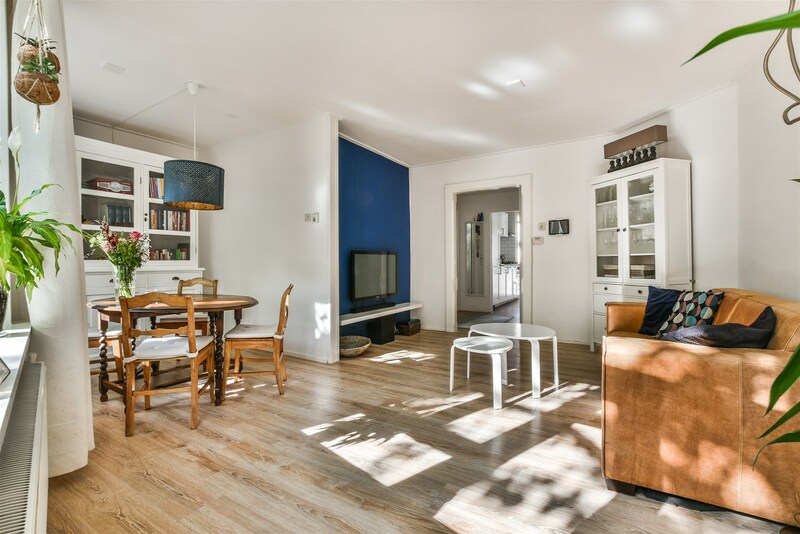 It is a freehold property with a sunny south-facing balcony, it has a spacious storage room on the attic floor and it has two sizeable bedrooms. Entrance on the first floor. Foyer with access to all rooms. Bright living room overlooking the street, with sliding doors leading to a side room ideal for a dining table. Kitchen located to the rear and equipped with dishwasher, refrigerator, freezer, four-burner gas hob, combination microwave and extractor hood. Two bedrooms (measuring 403 x 194 cm and 398 x 218, respectively) also located to the rear, one with a storage cupboard with connections for a washing machine and an airing cupboard containing an Intergas high-efficiency combi boiler installed in 2012. Both bedrooms and the kitchen give access to the south-facing balcony to the rear, with a handy storage cabinet. On the fourth floor you have access to a spacious storage room of approximately 8 sq. 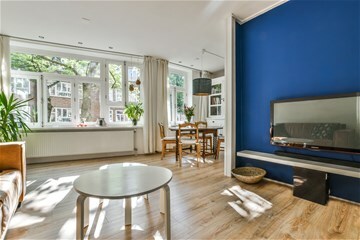 m.
The apartment is located in the Amsterdam West district, just off Jan van Galenstraat. This is a quiet neighbourhood, but only 10 minutes from the city centre by bicycle. There is also plenty to enjoy closer by, with good cafés and restaurants such as Terrasmus, Zurich and Frits only a short distance away. For sports enthusiasts, the nearby SportPlaza complex offers a full range of facilities including a swimming pool. 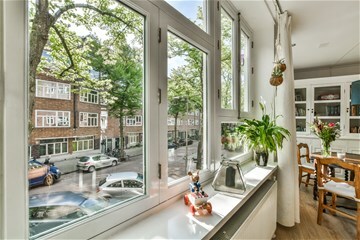 Both Rembrandtpark and Erasmuspark are within walking distance. Various trams and buses stop in the vicinity and the A10 ring road is just a few minutes’ drive away. A local on-street parking permit can currently be obtained immediately. 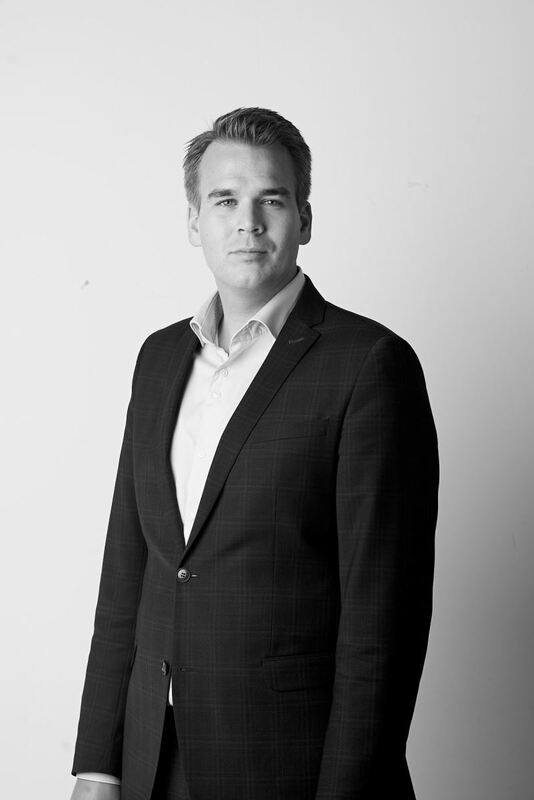 - Measured in accordance with Dutch standard NEN 2580, the living space is 50.5 sq. m. The measurement report is available for inspection on request.